Athletes are always looking for a way to take their game to the next level. This is as true for kids playing Little League sports, high school athletes and adult "weekend warriors" as it is for elite college-level and pro athletes. Many seek a sports performance edge through innovative strength and agility training. Others invest in sports camps or the latest athletic gear or clothing. But while most coaches, trainers and athletes recognize the importance of nutrition in sports performance, a key factor that sometimes is overlooked is the effect of nutrition on the eyes — and on visual skills that are important for sports performance. Given that our vision drives nearly all physical activity in most sports, excellent visual acuity and dynamic vision skills can be huge advantages for otherwise equally matched athletes of all ages and skill levels. And recent research suggests the most beneficial nutritional supplements for sports performance should include something many people aren't familiar with: carotenoids. Nutritional supplements containing carotenoids may improve reaction time and other visual skills important for sports performance. Carotenoids are natural pigments that give leafy greens and colorful fruits and veggies their green, yellow, orange and red colors. About 600 carotenoids have been identified in nature; but only about 50 are found in foods, and only three carotenoids are present in the eye. In addition to affecting sports performance, the buildup of free radicals in the body can damage DNA, fats and proteins. And it can affect recovery from the wear and tear on the body from sports activity and sports-related injuries. Besides carotenoids, other antioxidant substances that are important for sports nutrition include vitamin A, vitamin C, vitamin E and bioflavonoids. These three carotenoids are concentrated in the macula, which is the most sensitive part of the retina in the back of the eye. The macula is responsible for visual acuity and color vision. It also is essential for contrast sensitivity, glare reduction, photostress recovery (reduced light sensitivity) and visual reaction time — tasks that are essential for optimum sports performance. Together, lutein, zeaxanthin and meso-zeaxanthin comprise the protective "macular pigment" of the eye. In addition to its importance in sports performance, the macular pigment also plays a role in reducing the risk of macular degeneration later in life. A growing number of studies support the importance of the macular pigment in maintaining or enhancing visual abilities that are important for sports performance. Research at the Waterford Institute of Technology in Ireland demonstrated that a daily nutritional supplement containing lutein, zeaxanthin and meso-zeaxanthin improved the visual performance of people with normal visual acuity but lower-than-normal levels of macular pigment in their eyes at the beginning of the study. In the one-year study, 53 adult subjects took a daily supplement containing 10 mg lutein, 2 mg zeaxanthin, and 10 mg meso-zeaxanthin. Their visual performance outcomes were compared with those of 52 age-matched controls who took a placebo pill for the same period. 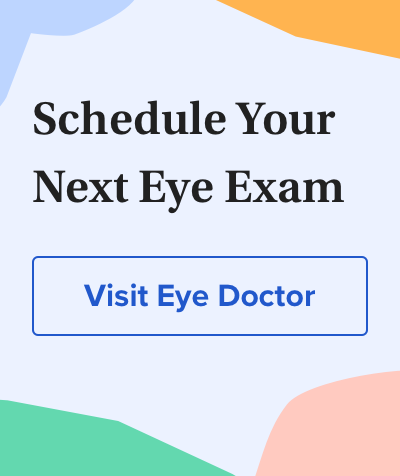 At the end of the 12 months, the researchers found the participants who had taken the multi-carotenoid supplement showed significant improvement in contrast sensitivity (a more sensitive metric of visual function than eye chart visual acuity). This improvement correlated with increased levels of macular pigment measured in their eyes after the nutritional supplementation. Ready to amp up your game? A diet of eye-healthy nutrients can help improve sports vision. A study conducted at the University of Georgia found that young adults (ages 18-32) who took a daily nutritional supplement containing zeaxanthin alone or a supplement with both lutein and zeaxanthin demonstrated improved visual processing speed, compared with controls who took a placebo for the same study period (four months). A study conducted at City University in London found adult subjects who took a daily supplement containing zeaxanthin, lutein or a combination of the two carotenoids for six months demonstrated improved contrast sensitivity in low-light conditions, compared with the visual performance of age-matched controls who took a placebo. Like the previous two studies, visual improvements correlated with higher levels of macular pigment measured in the group that had taken the supplement. Based on this and other research showing the importance of the macular pigment on vision performance, many amateur and professional athletes now use carotenoid eye supplements. And some professional sports trainers are recommending carotenoid supplements for their teams' players. MacuHealth with LMZ3. Currently this is the only dietary supplement that contains all three eye carotenoids, according to the company. Each gelatin capsule contains 10 mg lutein, 10 mg meso-zeaxanthin and 2 mg zeaxanthin — mimicking the 10:10:2 ratio of these eye carotenoids found in the macular pigment. EyePromise Zeaxanthin + Lutein. This product has the highest available level of dietary zeaxanthin of any carotenoid supplement, according to the company. Each softgel capsule contains 10 mg lutein and 10 mg zeaxanthin. Before starting carotenoid supplementation for sports vision, see your eye doctor. Many optometrists and ophthalmologists who specialize in eye nutrition can take in-office measurements of something called your "macular pigment optical density" — a key metric to determine if eye carotenoid supplements may be helpful. If your eye doctor doesn't have the tools or expertise to advise you about sports nutrition, ask for a referral to a sports vision specialist. Enrichment of macular pigment enhances contrast sensitivity in subjects free of retinal disease: Central Retinal Enrichment Supplementation Trials - Report 1. Investigative Ophthalmology & Visual Science. June 2016. MLB players are using paprika-derived nutrient for performance benefits. Sports Illustrated. June 2015. A randomized placebo-controlled study on the effects of lutein and zeaxanthin on visual processing speed in young healthy subjects. Archives of Biochemistry and Biophysics. April 2015. Free radicals, antioxidants and functional foods: Impact on human health. Pharmacognosy Review. July-December 2010. Supplementation with the carotenoids lutein or zeaxanthin improves human visual performance. Ophthalmic & Physiological Optics. July 2006.